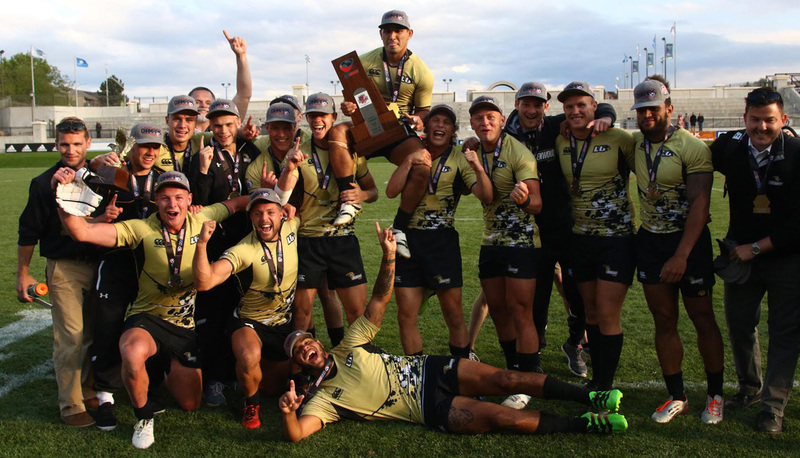 GLENDALE, Colo. – Lindenwood University may want to start calling Colorado home after a second Men’s Division I College 7s National Championship won in the Centennial State, as the Lions beat D1A Rugby National Champion Saint Mary’s College in Sunday’s Cup Final, 26-5, at Infinity Park. The Men’s DI competition was the only one split amongst the three days of the 2017 USA Rugby College 7s National Championships at Infinity Park, and both the Gaels and Lions reached the Final with undefeated records. 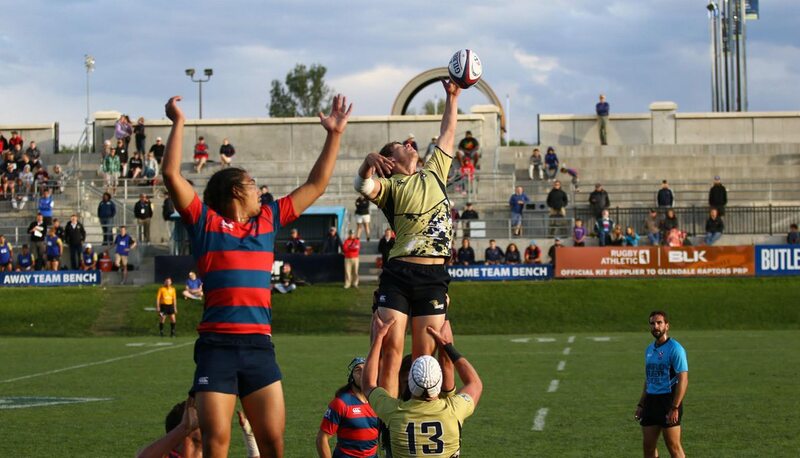 Lindenwood, which conceded just one try in four matches prior to blanking University of Utah in the Semifinal, 31-0, was the fresher of the Finalists when it lined up against Saint Mary’s in the last action of the day. Wesley White opened the scoring inside 60 seconds before D1A Champion Aaron Matthews dotted down midway through the opening half for a 7-5 Lions lead. Lindenwood’s sevens prowess, hushed in North Carolina last year, would win out, with the Lions capitalizing on Saint Mary’s errors with devastating counter attacks for a 26-5 final score. “We’ve worked really hard in the lead-up to this tournament,” Feakes, who recorded 34 points in six matches across the weekend, said. “The coaches have been pushing us at training, and we’ve done a serious amount of fitness these past two weeks and it’s really paid off. Davenport University finished runner-up in 2015 and fourth at last year’s event, and played in a second consecutive Bronze Final Sunday after conceding six tries to Saint Mary’s in the Semifinals. The Panthers took it to University of Utah early, building a two-try lead before seeing out the 22-12 final for the medal. Grand Canyon University’s drop to the Plate Semifinals Saturday spurred the Lopes into action as they responded well against Florida International University, 31-7, Sunday to set up a Plate Final with Bowling Green State University. The Falcons conceded two tries at the onset of the second half for a tie game, but lucked out after scoring a 13th-minute winner as the Lopes’ conversion kicker sent a conversion wide on the final play of the game for Bowling Green to claim the Plate. University of Arkansas kicked off the final day of competition with a 22-7 defeat of Stanford University and finished it off with a Bowl Championship at the expense of Texas A%amp;M, 21-17. Santa Clara University went 2-0 on Day Three, as well, shutting out University of Wyoming before sending James Madison University home empty handed with a 31-17 Shield Final victory.